If you've never been in the magnificent land of Montenegro, here is your opportunity to do so with your family or partner. The perfect holiday awaits you at this hotel overlooking a beach bathed by the waters of the Adriatic Sea. Just 2km from the city of Budva, discover this charming city known in Montenegro for its nightlife and beautiful Mediterranean architecture. Iberostar Bellevue offers entertainment, local and international cuisine and much more. There's never a dull moment. Featured amenities include express check-in, express check-out, and multilingual staff. A roundtrip airport shuttle is provided for a surcharge (available 24 hours), and free self parking is available onsite. With a stay at D&D Apartments Budva 3 in Budva, you'll be a 5-minute drive from Jaz Beach and 6 minutes from Becici Beach. This property is 16.1 mi (26 km) from Kotor Bay and 0.4 mi (0.7 km) from Slovenska Beach. With a stay at Apartments Aqua in Budva, you'll be a 4-minute drive from Jaz Beach and 9 minutes from Becici Beach. This 4-star apartment is 16.8 mi (27.1 km) from Kotor Bay and 0.4 mi (0.6 km) from Mogren Beach. Stop by the hotel's restaurant, Main restaurant, for lunch or dinner, or grab snacks at the coffee shop/café. Quench your thirst with your favorite drink at the bar/lounge. This hotel is ideally located in one of the oldest settlements on the Adriatic Riviera. 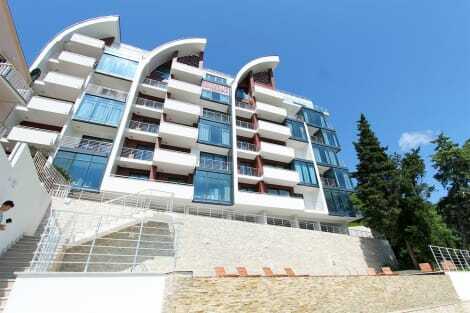 The hotel is located in Budva, lying close to a wide range of attractions in the area. The hotel lies just 80 metres away from a charming, sandy beach. A wide range of intriguing attractions can be found nearby. Delightful shopping, dining and entertainment venues can be found just a short distance away from the hotel. 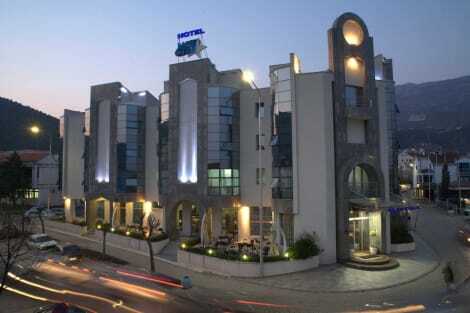 This hotel comprises elegantly-styled guest rooms, which are well equipped with modern amenities. The hotel features a fully-serviced private beach, where guests can sit back and unwind with a refreshing drink from the bar. The hotel features an elegant restaurant, where guests are invited to wine and dine in style. Make yourself at home in one of the 51 air-conditioned rooms featuring minibars and LCD televisions. Rooms have private balconies. Complimentary wireless Internet access keeps you connected, and cable programming is available for your entertainment. Bathrooms have showers and complimentary toiletries. Make yourself at home in one of the 40 air-conditioned rooms featuring minibars and flat-screen televisions. Rooms have private balconies. Complimentary wireless Internet access keeps you connected, and cable programming is available for your entertainment. Private bathrooms with showers feature complimentary toiletries and hair dryers. Enjoy international cuisine at Astoria, a beachfront restaurant which features a bar and an ocean view. You can also stay in and take advantage of the room service (during limited hours). Relax with a refreshing drink at one of the 2 bars/lounges. For your convenience, a complimentary breakfast is served daily from 7:00 AM to 1:00 PM. Make yourself at home in one of the 81 air-conditioned rooms featuring minibars and flat-screen televisions. Your bed comes with premium bedding, and all rooms are furnished with sofa beds. Complimentary wireless Internet access keeps you connected, and cable programming is available for your entertainment. Bathrooms have showers and complimentary toiletries. Make yourself at home in one of the 236 air-conditioned rooms featuring flat-screen televisions. Rooms have private balconies. Complimentary wired and wireless Internet access keeps you connected, and cable programming provides entertainment. Private bathrooms with shower/tub combinations feature complimentary toiletries and hair dryers. lastminute.com has a fantastic range of hotels in Budva, with everything from cheap hotels to luxurious five star accommodation available. We like to live up to our last minute name so remember you can book any one of our excellent Budva hotels up until midnight and stay the same night.